QTY 123456789101112131415161718192021222324252627282930313233343536373839404142 Please select a quantity. 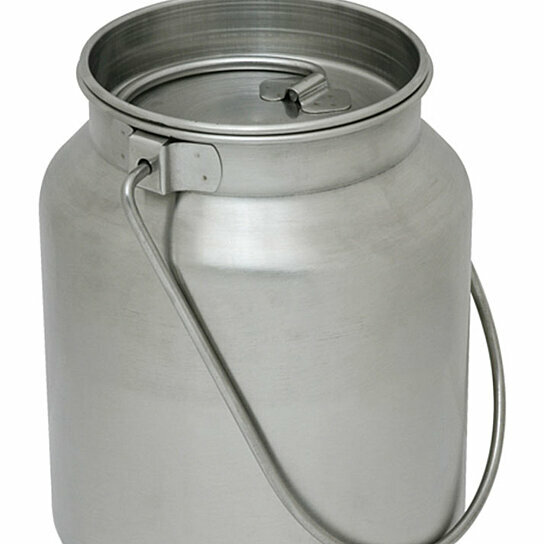 Heavy Duty Stainless Steel Gallon Jug. Seamless pail construction. Polished finish inside and out. Spot-welded ears for strong handle support. Easy to wash and sanitize. Size: 8 1/2" high x 6.5" diameter. Country of origin: India. Seamless pail construction. Easy to wash and sanitize. Spot-welded ears for strong handle support. Size: 8 1/2" high x 6.5" diameter. Polished finish inside and out.